Here is another evidence that the first Jews are Turkic Mongolians and not Semite at all. The Jews are not Semite Hebrew Israelite. 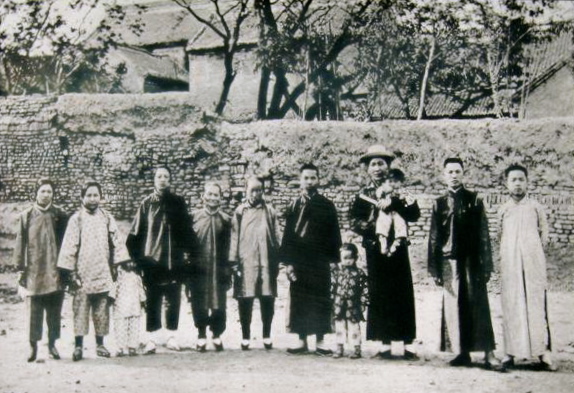 Their homeland, together with all Turkic other groups, is in Central Asia, north-west of China. Khazar (called Eastern Tourkia) existed in c. 650–c. 1048. The Ottomans are Oghuz Turks 750-1055 then invaded and colonized Anatolia since 1260. These are few very late Turkic projects. That is why Jewishness may be confused as ethnicity or a religion. But indeed it is neither a race nor a faith, it is in fact a political project, the same as Zionism. In 627 BC, the Assyrian Empire came under series of raids from brutal unknown nomadic groups. The development of the events are not known with certainty. The raids intensified upon the death of Ashurbanipal, king of Assyria in 626 BC. 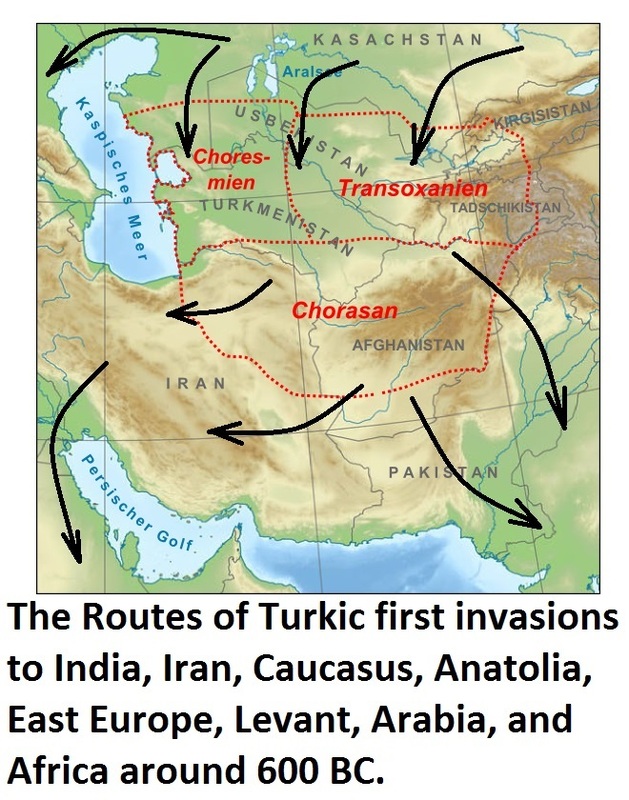 It became apparent that hordes of Turkic Persians raiders with slaves from Scythia, Cimmerian, and Media crossed the borders of the Assyrian Empire, destroying Ashkelon and raiding as far as Egypt. They took over the city of Babylon from the Assyrians and made it their center, then Calah (Nimrud) was burned, but the strong walls of Nineveh protected the remnants of the Assyrian army that had taken refuge there. In 612 BC the Assyrian capital Nineveh was raided by the Turkified Medes, Scythians, Babylonians and other bandits. As a protection, the Assyrians moved their capital to Harran. When Harran was captured by the same raiding Turkic groups in 609 BC, the Assyrian capital was once again moved, this time to Carchemish, on the Euphrates River, in north western Assyria in what is today north Syria, near Turkey. Any citizen, male or female, in any country has at least three distinctive spheres of interests and aspirations with regard to governance and life. In any representative system of government these three spheres of interests and aspirations must be equally well represented and cared for to maintain fair and balanced governance. No one sphere shall be allowed to dominate at the expense of others. To give eligible citizens power to elect a representative in each of the three spheres of interests. To distribute the powers between social, economic, and political institutions. To redefine the composition and roles of social, economic, and political institutions. To achieve 50/50 participation between men and women. To develop effective checks and balances in legislative, executive, and judicial branches. To enhance division of powers and accountable performance system. To empower trade, and social unions and communities to protect the power of people. The Turkic Ottomans carried out for a very long time the final changes in the demography in the land that used to be Canaan, created the first Aliyahs of Turkic Jewish settlers, and gave birth to Zionism. The same Turkic people colonized Canaan and created the Talmud and the Jews by tricky Babylonian “Return” in 520 BC. The Turkic king of Babylonia arrested and deported few hundred from the house of David and their officials then after few decades arranged for hundreds of thousands of Turkic colonizers to settle in Canaan under the pretext of Babylonian “Return”. Now the Turkic occupiers are falsely crying from the British Mandate, and blame Balfour for their crimes!!!!!!. The Philistines (/ˈfɪlᵻstiːnz/, /ˈfɪlᵻstaɪnz/, /fᵻˈlɪstᵻnz/, or /fᵻˈlɪstiːnz/; Hebrew: פְּלִשְׁתִּים‎, Plištim) were (NOT are) an ancient people primarily known for their conflict with the Israelites. They are said to descend from Casluhim, son of Mizraim (Egypt) (who is Hamite), while the Canaanites are Semite like Arabs. However, the Philistines of Genesis who are friendly to Abraham are identified by rabbinic sources as distinct from the warlike people!! The Torah does not record the Philistines as one of the nations to be displaced from Canaan “displaced Canaanites”. All Turkic groups are equally responsible for wide range of crimes and these groups. Terrorism is in every deep state in the world who is affiliated to any of the six Turkic groups. We must not be fooled by their deceptive mutual hostilities. They are one block with different faces. 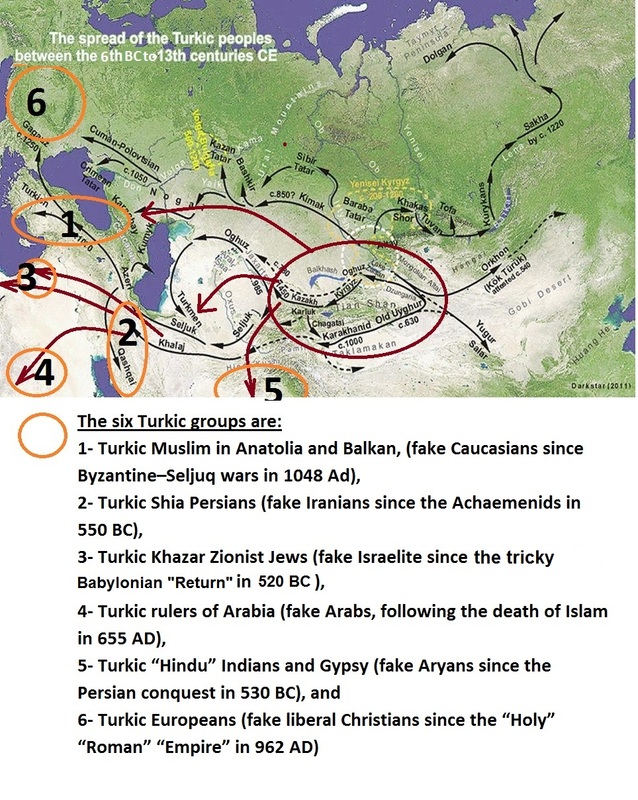 All these six Turkic groups should be charged and condemned for of Antisemitism, racism, colonialism, and for the numerous and grave crimes they committed against the Israelite, the Arabs, Africans, Europeans, and against Yeshua, Mohamed, Moses, and Zoroaster. 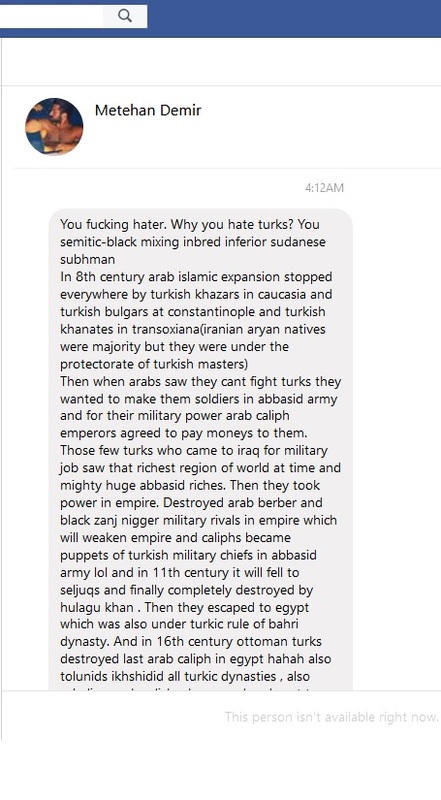 All the Turkic groups including the Jews are historic enemies of the Semites. Why Do Jews, Turks & All Turkic Groups Hate & Harm Israelite, Arabs, Semites, Europeans, & All people? Why All Jews & Turks Are Very Anti-Semitic? Turks colonized Anatolia In the 10 years following the Battle of Manzikert in 1071 AD, the Seljuk Turks from Mongols of Central Asia migrated over large areas of Anatolia, with particular concentrations around the northwestern rim. Before that Anatolia was a great ancient civilized and prosperous. The six Turkic groups despise Europeans, Africans, Indians, Russians, Chinese, and Arabs because they feel that they are naive and peaceful, and meek; while they are aggressive and brutal. The axis of evil and terrorism backers are all deep states in the world which succumb and controlled by any one of the six Turkic groups. Those are the enemies of Europe, USA, Arabs, Africans, Hitler, Nazis, and Russia. And long before them they were the enemies of Alexander the Great. Iraqi Jews constitute one of the world’s oldest and most historically significant Jewish communities. The Jewish community of Babylon included Ezra the scribe, whose coming to Judea in the late 6th century BC is associated with significant changes in Hebrew ritual observance and the rebuilding of the Temple in Jerusalem. The Talmud was compiled in Babylonia, identified with modern Iraq. In the Bible, Babylon the city and Babylonia the country are not always clearly distinguished, in most cases the same word being used for both. 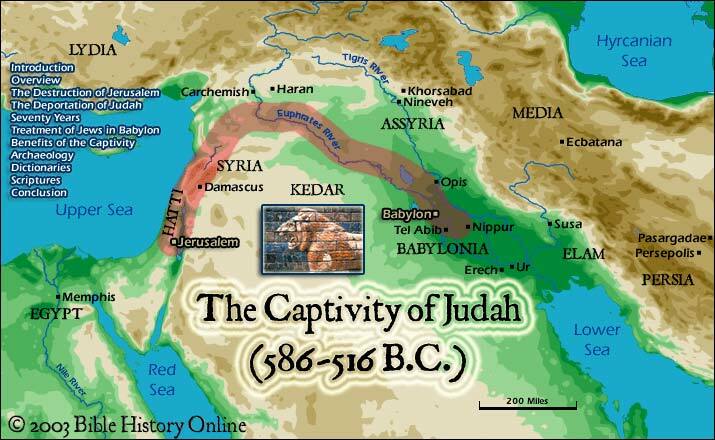 Judaism was invented in Iraq in 530 BC, after 700 from Moses’ death, on the hands of Turkic Babylonians. 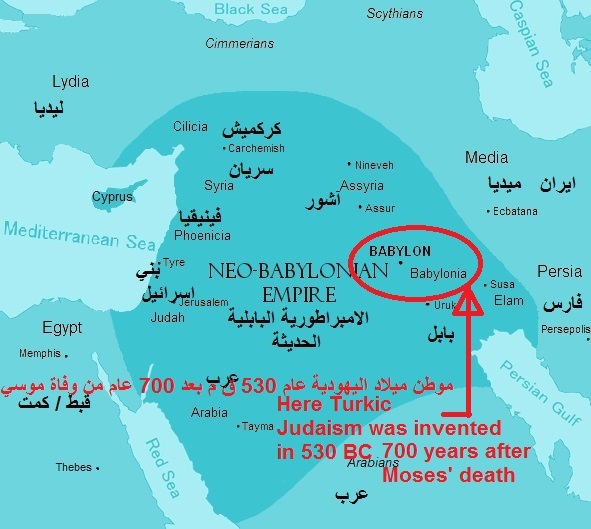 The Turkic rulers of Babylonia and Persia used the Babylonian exile to replace both the Israelite population and the religion of Moses with Turkic population and Tengeri cult. It all began by the Battle of Carchemish which was fought about 605 BC. Replacement of religion with a Turkic vulgarized copy happened first to Iranian Zoroastrianism. Then later on after it was successfully applied with the Israelite in 530 BC, it was repeated again with the teachings of Yeshua. It is better not to indoctrinate but to give the leads for thinking and independent research. It is very convening to conclude that Judaism was created during the Babylonian exile and the Israelite population and rulers were replaced by Turkic stock during the 520–515 BC with the so-called “return” by many Jews to Yehud under Zerubbabel and Joshua the High Priest with the foundation of the Second Temple.